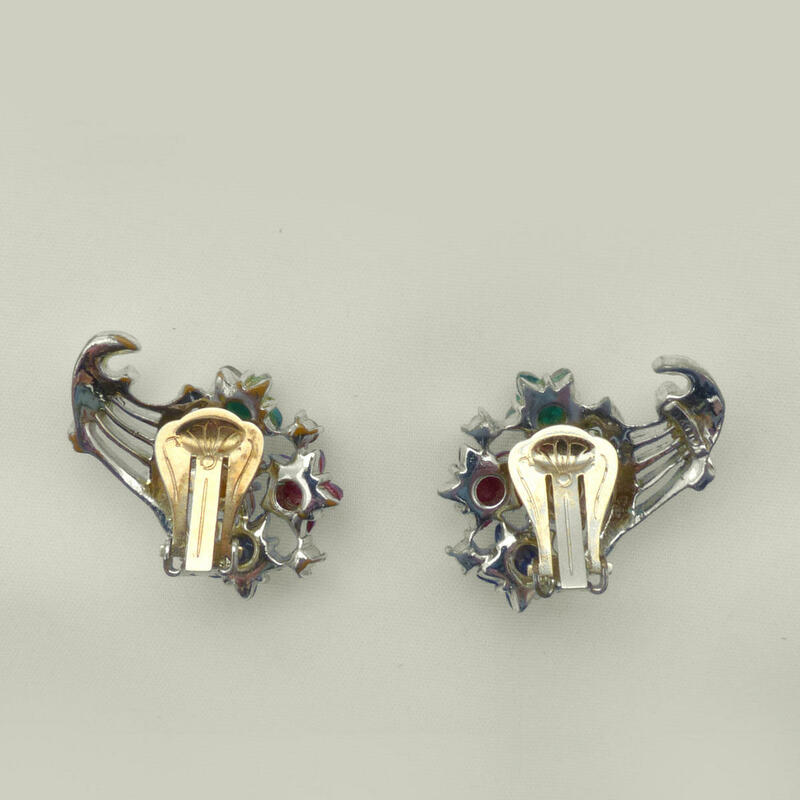 Vibrant goldtone horn of plenty clip earrings by Volupte. 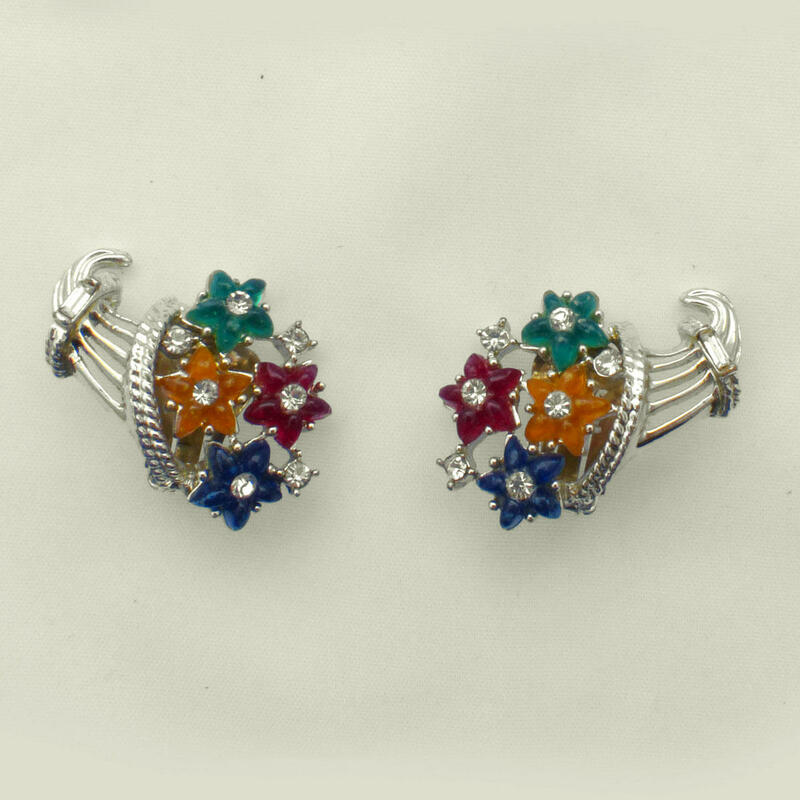 Adorned with eye catching red, blue, green and yellow flowers with crystal rhinestone centres. Best known as makers of top quality vanity accessories and compacts, Volupte also produced very limited lines of costume jewellery. Late 1940's early 1950's. Very rare to find, especially in this mint condition.